This singularity is already here in many countries even without including the hidden environmental costs of fossil fuel and nuclear energy. In India, for example, solar costs, as measured by power purchase agreement (PPA) prices offered by the private sector in the solar business, have already become cheaper than coal. (4 cents per KWH). Solar power generation is, of course, intermittent — the sun doesn’t shine all the time. A true singularity in solar energy needs to include the cost of storage batteries. This solar-plus-storage singularity is now approaching faster than anyone had predicted because of an exponential improvement in battery storage cost and supply. Battery costs have declined 70% in the last five years from $1000/KWH to about $300/KWH at a mass scale. 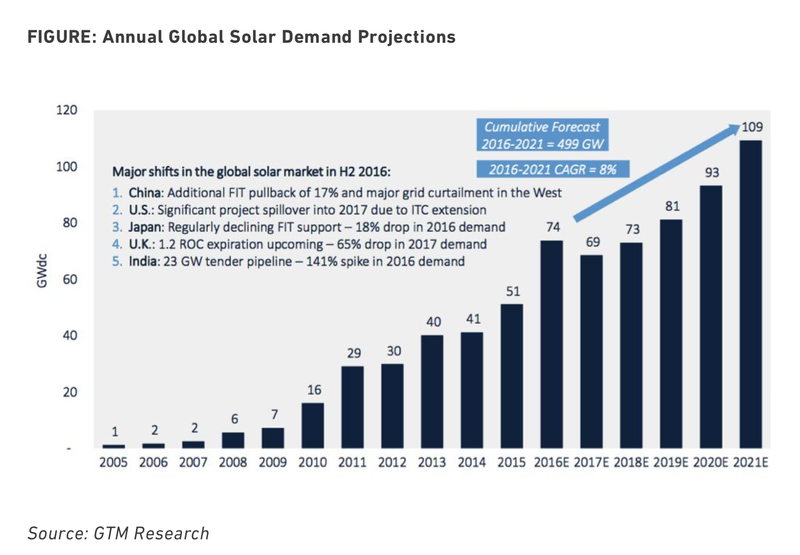 The true solar singularity which includes utility scale solar generation and storage is estimated to occur when the battery costs drop to $100/KWH, most certainly by 2022, but probably mush sooner. 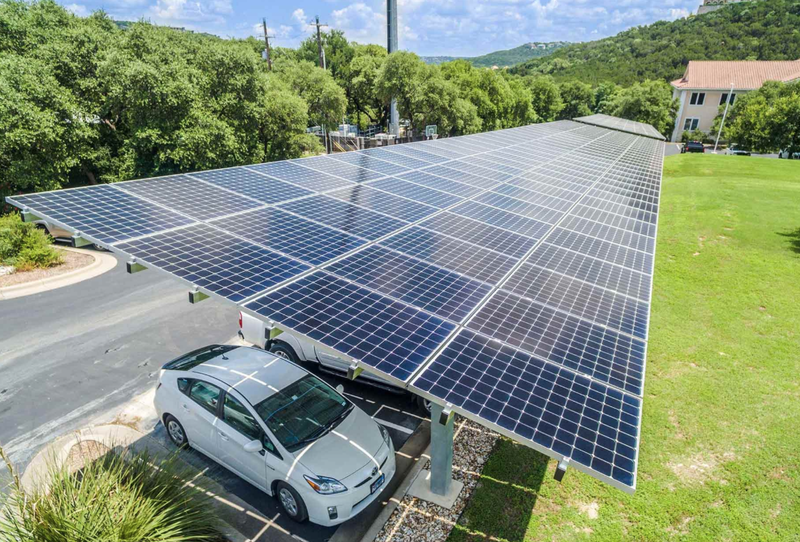 Solar PV’s, battery storage, electric vehicles and self-driving cars together constitute the parallel and intertwined revolutions that are set to transform our energy system worldwide. These four technologies are developing exponentially. We can reasonably expect to see, by 2035 to 2040, a world powered predominantly with renewable electricity — not only homes and businesses, but also transportation and industrial processes. Energy planners around the world are beginning to see the arrival of the singularities. Most countries are planning for a non-fossil-fuel economy by 2040. In Norway there is a move to ban the exploration of their gas and oil in the North Sea right now. They are planning to leave all their substantial oil/gas wealth in the ground! In Germany, last March and April, over 80% of the electricity came from renewables. In the US we were at 10%. In India we are now generating 7% of electricity from wind/solar with 33% predicted by 2022. China is on the fastest track of all countries! In California there is a push to legislate net-zero housing, i. e., community developments with net zero energy consumption. This is a law that requires all new housing to have 100% renewable energy or zero net consumption by 2020. What will all this mean? The solar singularity is an inevitability — a done deal. It is going to be more powerful than the Paris Accords and not even the current retrogressive policies pushed by the oil industry can change this fact.